This is a post that has taken a while to write but today is the day that it gets finished! 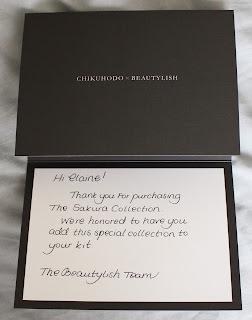 At the beginning of July, I received the Chikuhodo x Beautylish Sakura Collection and let me tell you a quick story of how I ended up purchasing these. 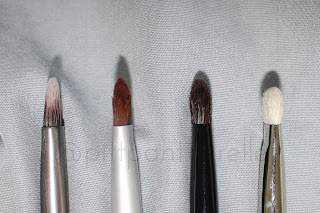 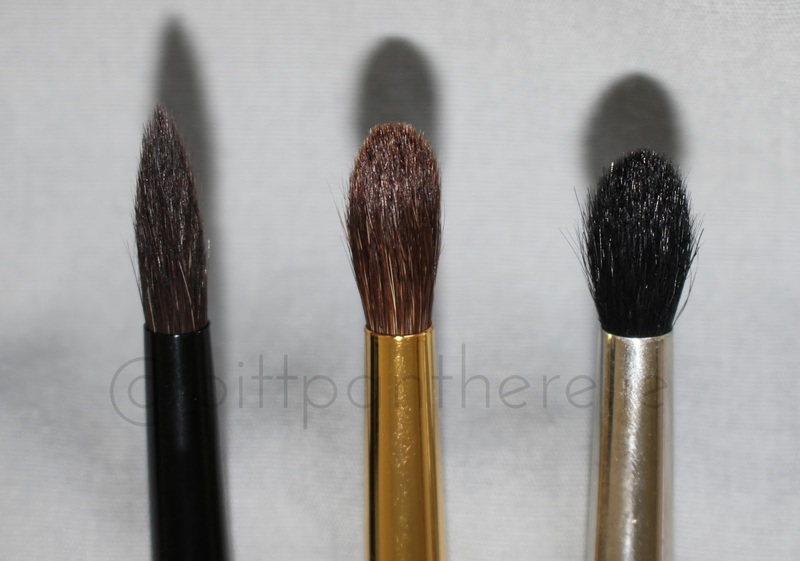 Now, onto the the nitty-gritty of the brushes! 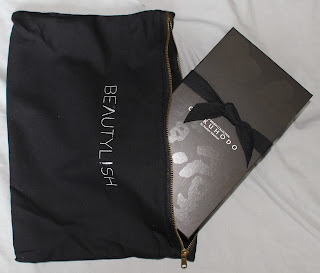 Shipping was pretty quick and Beautylish has always been fast with shipping out orders from past experience. 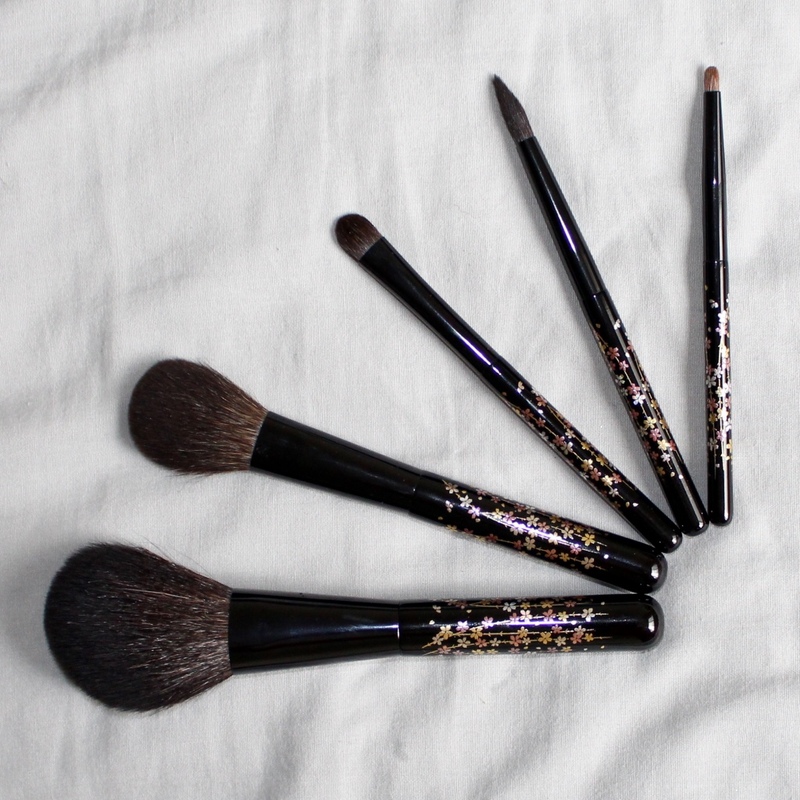 They shipped on June 29th and I received them on July 2nd. It was a nice July 4th "present" for me. They also have excellent customer service. I have had reps from the company texting me asking me if I was satisfied with my order and had any questions. 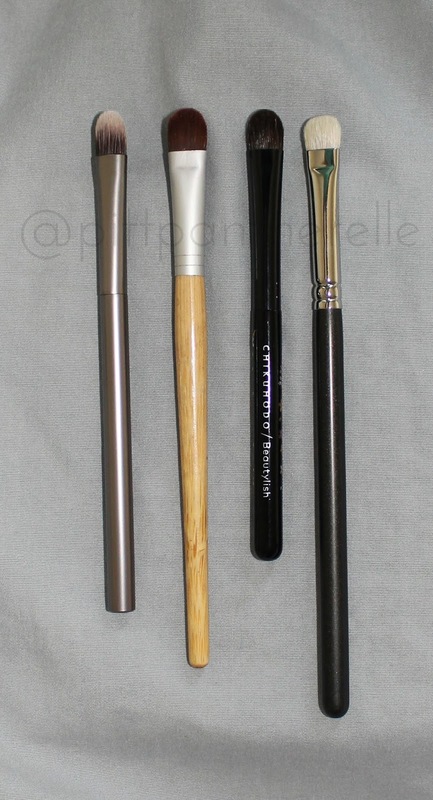 I have a tendency to just ask a lot of questions because if you text me, I will have a conversation with you. 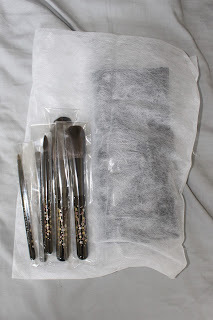 They also packaged it beautifully. 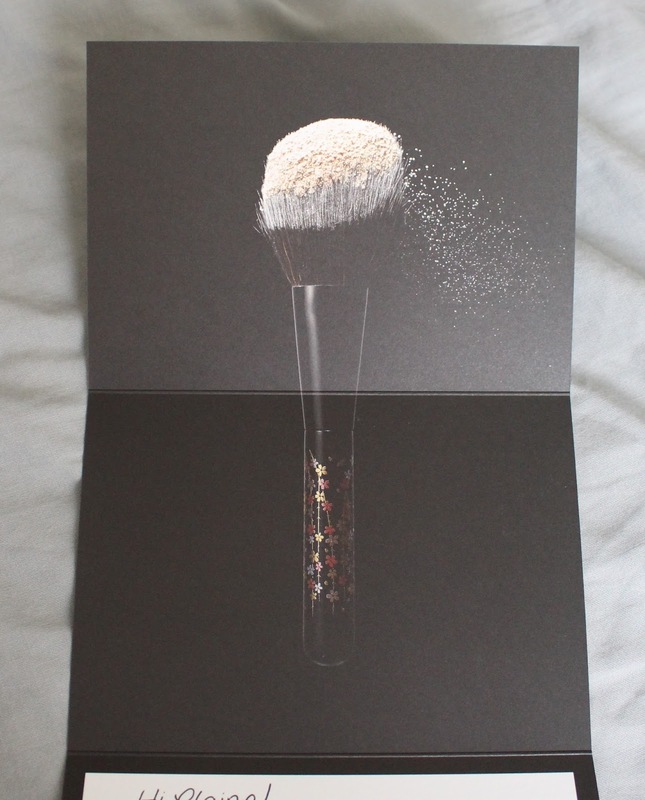 It made me feel really special going through the layers of papers, cards, and boxes to finally unveil the final product. I felt like a VIP the whole time. 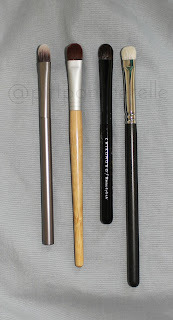 Ok, presentation is good so far. 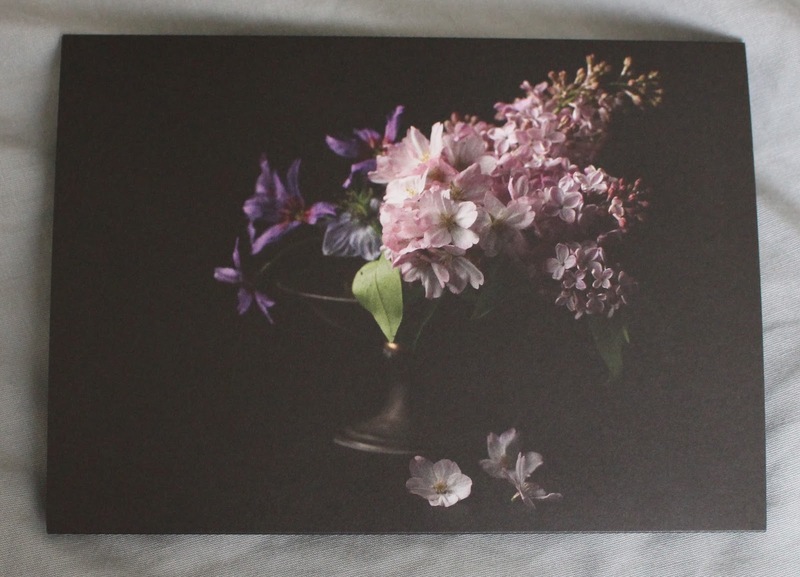 The outside of the card with the plant inspiring the collection. Beautiful! I love the note included! Makes me feel like part of the exclusive club who got these brushes. 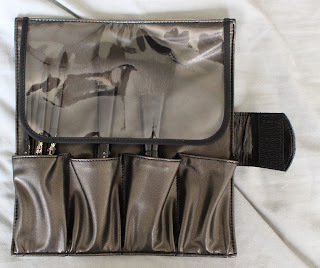 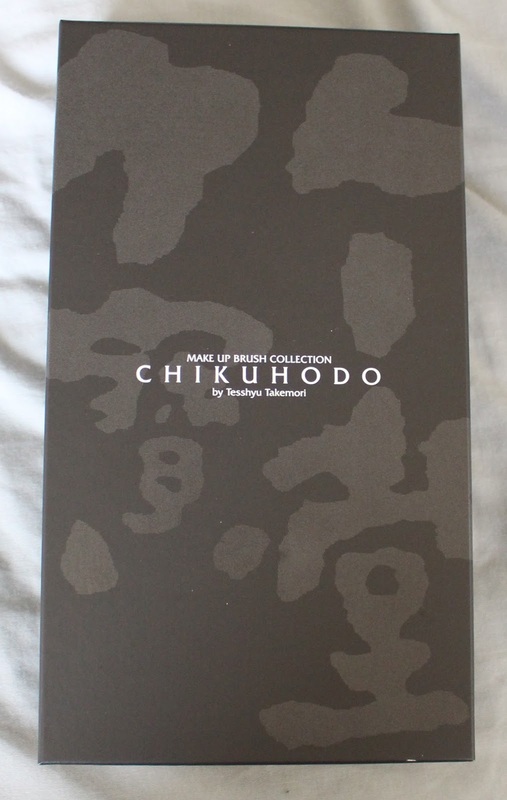 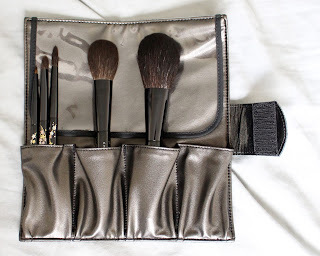 Included is a dust bag and a Chikuhodo brush containing the goodies. The dust bag here is good quality and I actually have been using it for various purposes. 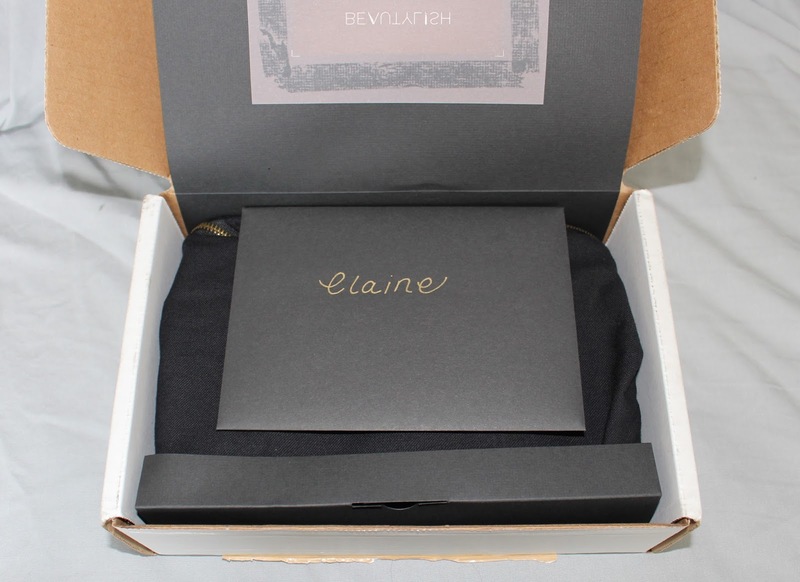 Box without the cloth ribbon. Its a nice sturdy box. The Chikuhodo Sakura Powder brush is a 50/50 mix of grey squirrel hair and saikoho goat hair. 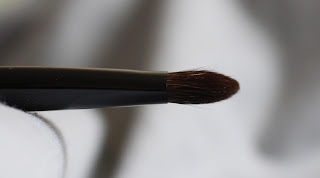 This brush has a really unique shape and it slightly angled, which is not a common feature in powder brushes. This brush is very soft but not as soft as 100% grey squirrel hair but is a bit more durable due to its squirrel and goat hair mix. 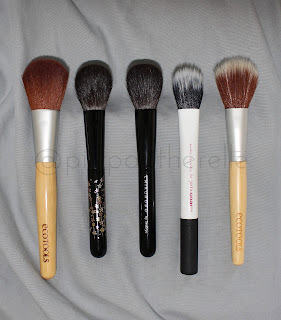 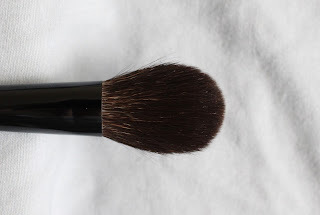 I have used this brush to set my foundation and apply bronzer, and my favorite use for it is to apply bronzer a bit more accurately than other larger powder brushes. 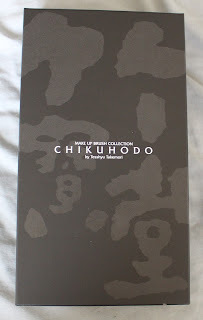 If I am not currently using my Chikuhodo MK-2, I will most likely be using this one instead. 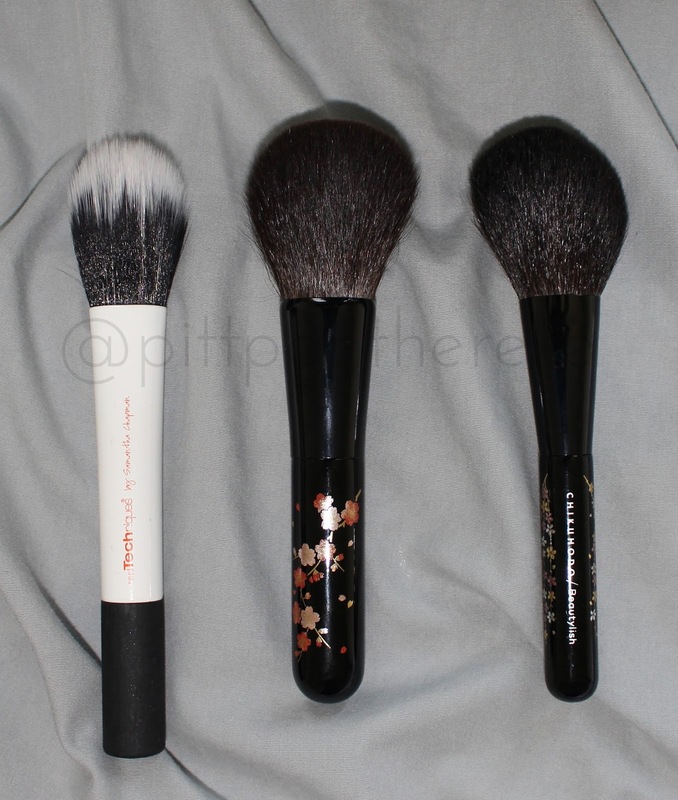 The Chikuhodo Sakura Blush brush is made of 100% grey squirrel. 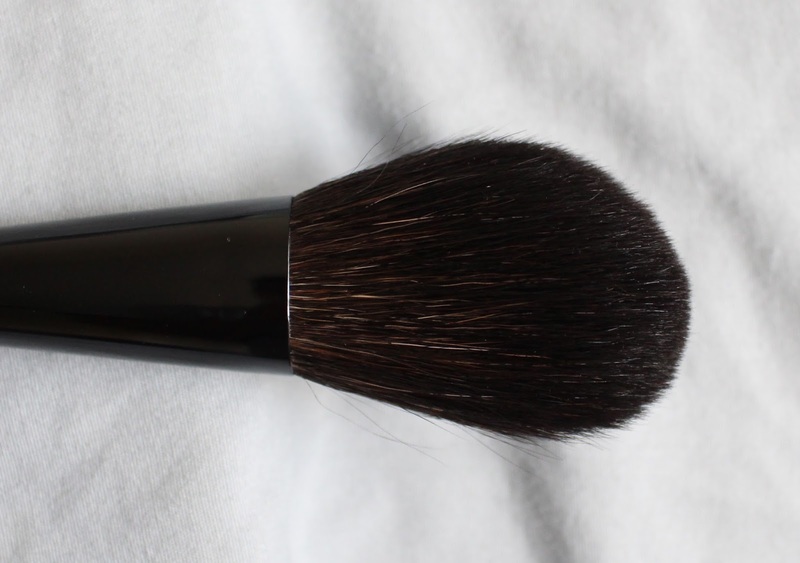 I have been really like using this brush for applying contour, blush, and highlight but I especially enjoy it for contouring. 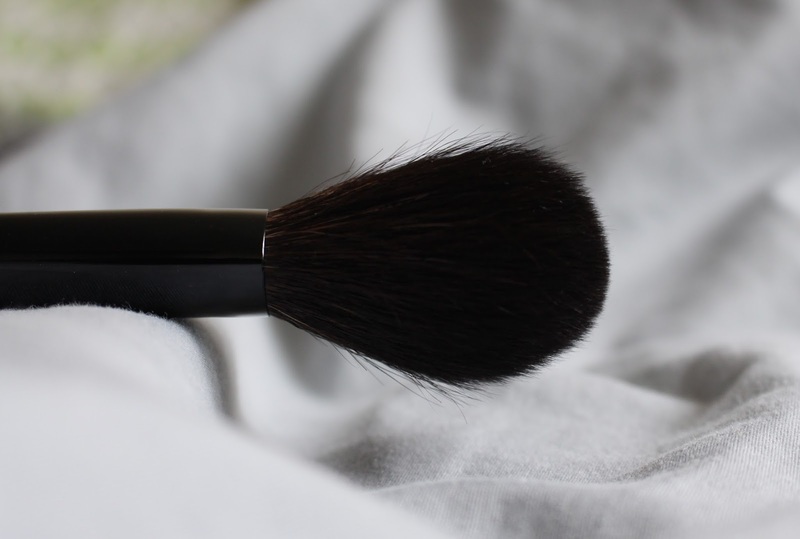 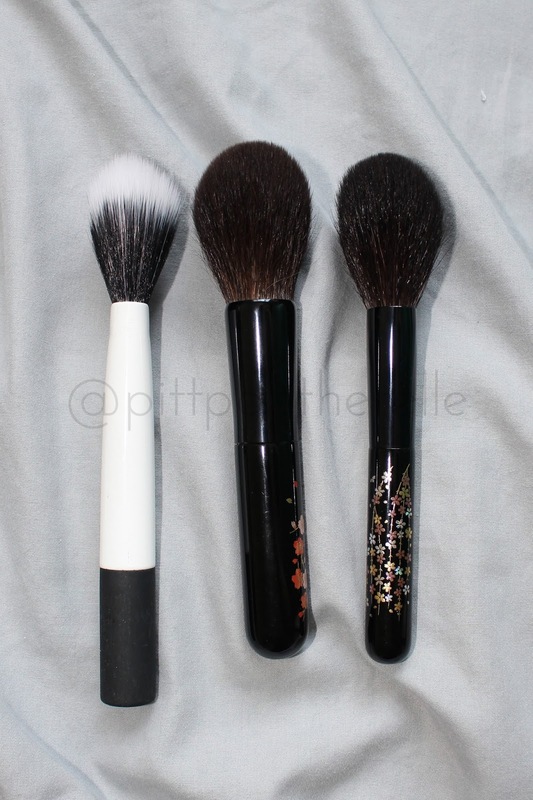 Because the brush head isn't completely circular and has a paddle shape, it fits perfectly under my cheekbones and adds contour powders softly and beautifully. Its a fullproof way to contour because it is harder to overdo powders with squirrel brushes because they don't heavily apply product. I have been reaching for this brush over my Chikuhodo Z-4 but prefer my Koyudo BP020 for blush. 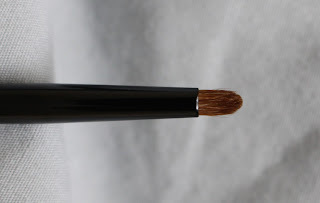 The Chikuhodo Sakura Flat Eyeshadow brush is a flat paddle brush made out of 100% grey squirrel hair. 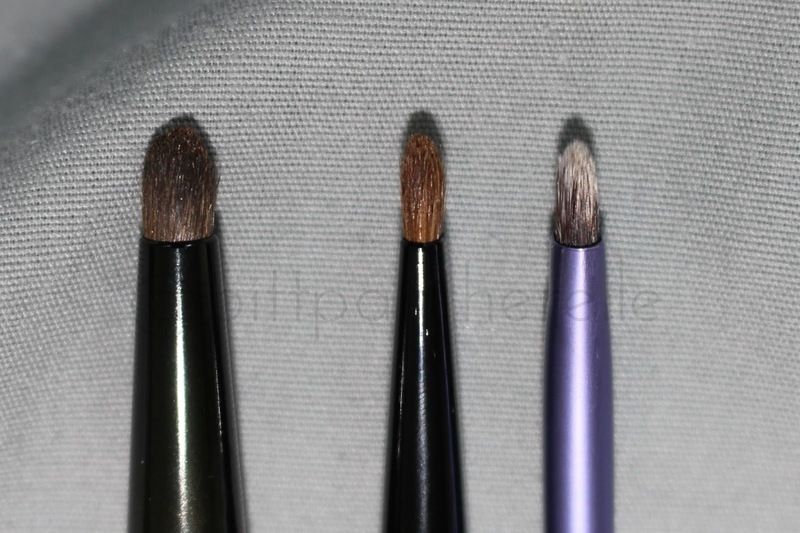 While this brush has not replaced me using my MAC 239 for laying down eyeshadows, I still use this brush when rotating through brushes. 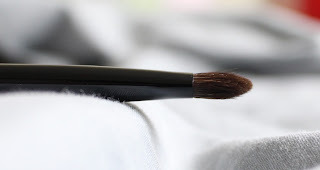 Because this brush is made of squirrel hair, you cannot use it to apply any liquid or cream products otherwise it will damage the delicate hair. 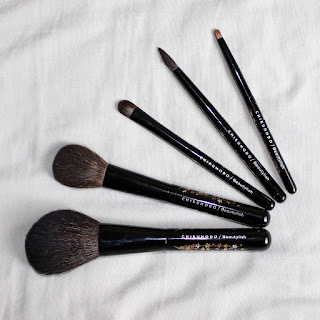 This brush is good at a steady build of the eyeshadow and can easily apply a light wash. The Chikuhodo Sakura Crease brush is a very tapered brush made out of 100% grey squirrel hair. 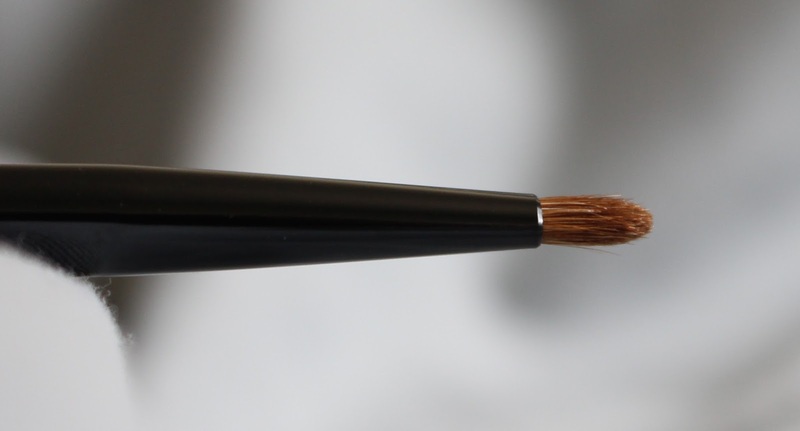 I am not sure what to say about this brush or how to exactly use it. I don't have any other brushes in my collection like this so this brush challenges me. 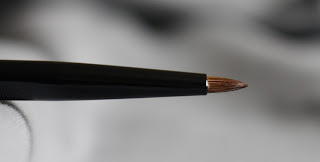 I have found you can very softly apply color to your crease with this. This brush is not as good with blending out color because it is pretty floppy. 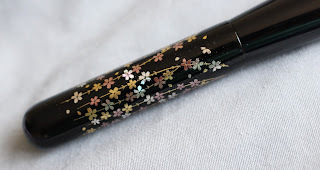 If I figure out a better way to use it, I will update this post with my new discovery! 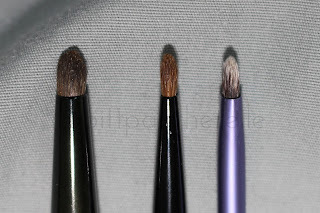 The shape stayed the same pre and post wash. 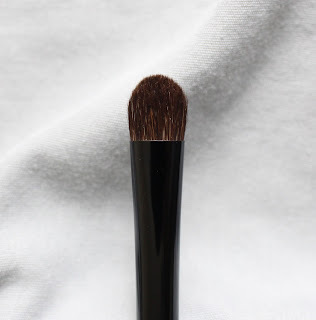 The Chikuhodo Sakura Detail brush is a brush made out of fitch hair and must be washed before being used to remove the starch coating that protects the brush. 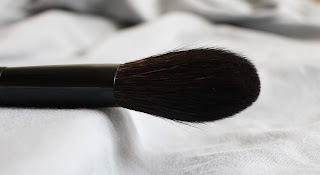 I have never experienced a brush with this type of hair before so I wasn't entirely sure what it could be used for at first. The Beautylish website lists several uses for it but it can be used for powder, cream, and liquid products. 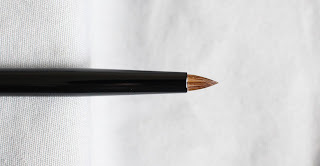 I have used it so far to smudge out liner, precisely apply eyeshadow, and apply concealer. 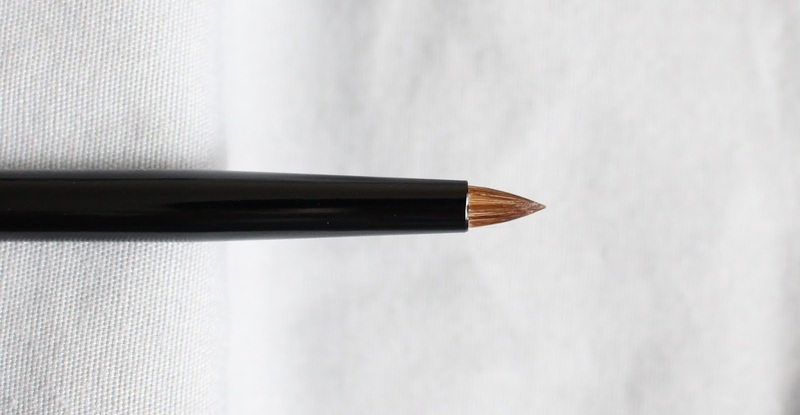 My favorite use for it is to use it to precisely apply eyeshadow followed by smudging out pencil liners. 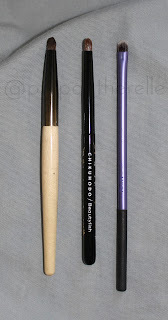 This brush is not the softest brush but it is softer than other smudger brushes I own (MAC 214 and Mizuho CMP 551). 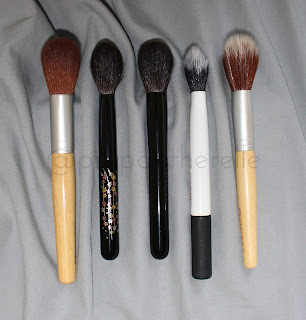 Thanks for reading to the end of the post and hope it was helpful to help you find some dupes for this collection. The Sakura Collection is currently sold out and I have heard of no news of further production for this set.